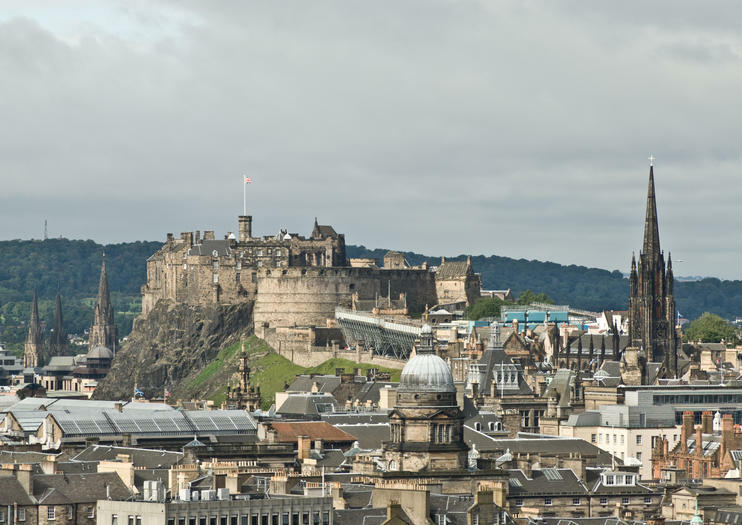 With three days in Edinburgh, you have plenty of time to soak up the city’s atmosphere, see its most famous sights, and head out of town into the surrounding countryside. Here are a few ways to experience the very best of the Scottish capital in 72 memorable hours. Soak in the atmosphere of the medieval Old Town, filled with cobblestone streets and winding alleys, on a private or group walking tour that leads you along and around the Royal Mile. Walking tours take you to top attractions such as Princes Street and the Scottish National Portrait Gallery while your guide tells related tales of secret Edinburgh societies and inventions of the Enlightenment period. Alternatively, a hop-on hop-off bus tour of the whole city offers more flexibility: you can get off at any point of interest along the route and spend as long as you like there. After your tour, admire the contrasting architecture of the elegant New Town—together the two areas form a UNESCO World Heritage Site. In the evening, get a taste of the local nightlife on a pub crawl through the Old Town, which includes free drinks. Edinburgh Castle, the historic fortress perched atop an extinct volcano, dominates the city’s skyline. Save time by booking a castle tour that includes skip-the-line entry. Private and group guided castle tours provide historical insights and take you to see such sights as the Crown Jewels of Scotland, including the Stone of Destiny, which was used in the coronation of Scottish monarchs. Afterward head into the port of Leith for a glimpse into the lives of more recent monarchs at the Royal Yacht Britannia, the former royal yacht of Queen Elizabeth II. Explore the stately ship’s five decks, peeking into elaborately decorated rooms like the State Apartments, the State Drawing Room, and the Queen’s Bedroom. Conclude the refined experience with an elegant high tea in the Royal Deck Tea Room. Back in Edinburgh, conclude your trip with a traditional Scottish evening spent listening to folk tales recounted by an entertaining storyteller while enjoying whisky, haggis, and cranachan, a traditional dessert of oats, berries, and cream. Learn about Edinburgh past and present on a private walking tour with an insider guide, who shares information about the city’s royal history and colorful characters, some of whom have inspired books and well-known stories. Get tips on where to eat and drink around the city, and see sights on and off the Royal Mile and near Greyfriars Kirk. You’ll enjoy one-on-one attention from a private guide on this tour that caters to couples, families and small groups looking for a more personal experience. Edinburgh’s UNESCO-listed New Town is replete with innovative monuments and history: as the birthplace of seminal inventions such as the telephone and anesthesia, the New Town’s prosperous past begs to be discovered. This 2.5-hour walking tour, ideal for history enthusiasts, takes you to top attractions such as Princes Street, the Scottish National Portrait Gallery, and the Ross Fountain. Guide commentary reveals tales of secret Edinburgh societies, inventions of the Enlightenment period, and Edinburgh’s campaign to abolish slavery.